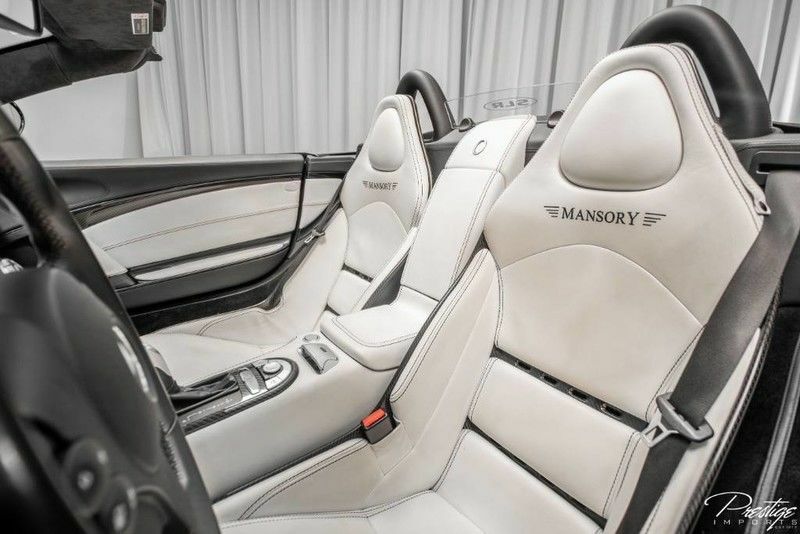 We’ve got an absolutely stunning, incredible vehicle for you in our spotlight today as we take a look at a 2008 Mercedes-Benz SLR McLaren Mansory x Renntech for sale right here at Prestige Imports in North Miami Beach FL. A partnership between four incredible automotive companies – Mercedes-Benz, McLaren, Mansory and Renntech – this vehicle is nearly flawless. Offering an incredible amount of performance and premium content, it would make the perfect centerpiece of anyone’s luxury collection. First, we’d like to point out that this beautiful beast of a machine has just under 15,000 miles on the odometer, meaning it’s been driven about the national average for one year across the 12 years it’s been on the road. If ever there has been a “gently used” vehicle, it’s this one in our opinion. But as we said, there are plenty of incredible specs & features to get excited about as well. Powered by a 5.5L V8 AMG supercharged engine, the SLR McLaren is capable of hitting 60 miles per hour in just 3.7 seconds, thanks to its 617 horsepower. It’s been outfitted with plenty of aftermarket upgrades and accessories from Mansory and Renntech, but there’s also a host of factory-installed features as well. Features include 6-way adjustable, heated, carbon fiber front bucket seats with lumbar support, a 6-disc-changing & 7-speaker Bose audio system, an auxiliary power outlet, SmartKey system, Rain-sensing windshield wipers, Gullwing doors, bi-xenon high-intensity discharge headlamps, Acceleration Skid Control, Push-Button Start and much more. If you’re interested in making this incredible vehicle your own, be sure to get in touch with us right away because we cannot imagine it will stick around for very much longer. This entry was posted on Wednesday, November 7th, 2018 at 6:40 pm	and is filed under McLaren, Mercedes-Benz. You can follow any responses to this entry through the RSS 2.0 feed. You can skip to the end and leave a response. Pinging is currently not allowed.